Like many mothers and wives, I too have things to do around the house and it consumes a lot of time and energy. However, I pamper myself every now and then, that’s why I look forward to weekends. Everyone at home is a sleep and I can make my favorite breakfast, Crepe with Saffron Sauce. The crepe recipe I’m using is fail proof, I’ve been using this recipe since long time, the only change I make in it is the flavor. 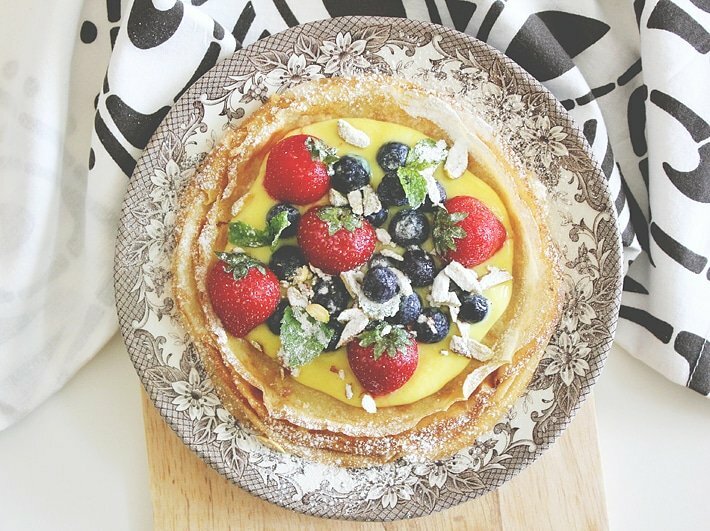 If you are allergic to eggs, and want to use pastry cream to top your desserts then this Saffron sauce is the answer. 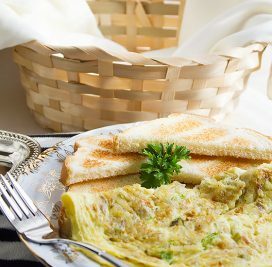 It’s a creamy and thick sauce, it’s lower in calories than pastry cream and adding saffron gave it a rich taste. I took my plate of crepes and poured warm saffron sauce on top, went to my favorite corner in the house, close to the window, and enjoyed every single bite. If you don’t have a me time, I suggest you have one, you’re worth it! 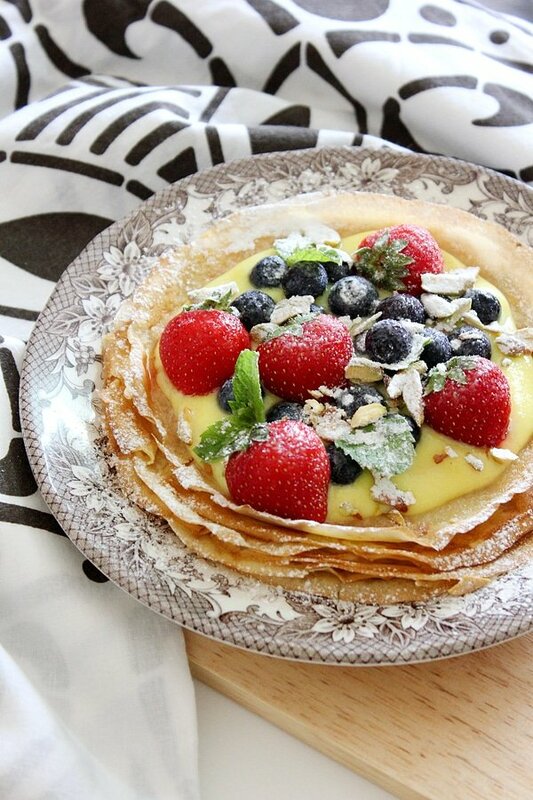 Makes 12, 6″ crepes. 335 calories per serving. Each crepe is 56 calories. Saffron Sauce is 108 calories per serving. 2- Add the flour to the blender and pulse 9 times. The batter should be smooth and lump free. 3- Pour the batter in a bowl, cover and place in the fridge for 45 minutes to an hour. 4- In a 7″ or 6″ nonstick pan, pour 1/4 cup of the batter, remove pan from heat and swirl it, so the batter coats the bottom of the pan. 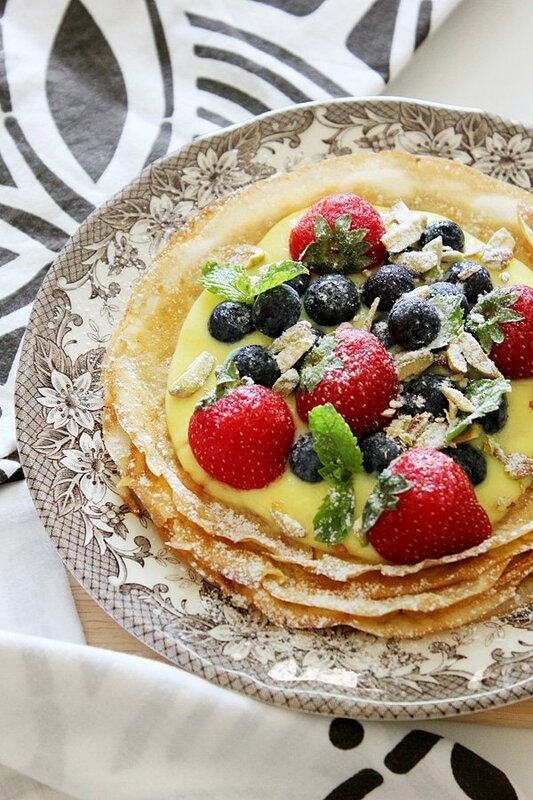 If you get holes in the crepe, pour small amount from the batter to cover the holes. 5- The batter will quickly dry, and the moment it looses its shine, flip it and cook for about a minute on the other side. – Mix water with saffron and keep aside for ten minutes. – In a saucepan, add milk and sugar. 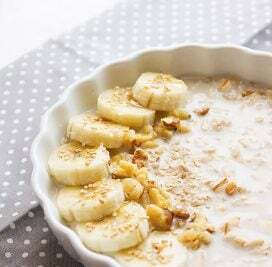 – Add the cornstarch to the saffron mixture and stir well, when the milk is about to boil add the cornstarch mixture and keep stirring until you get a creamy consistency. 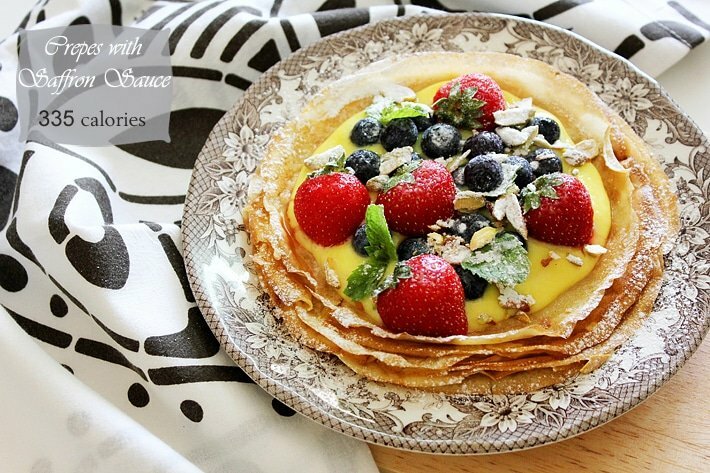 – Pour the saffron sauce over the crepe while warm. *The calories do not include the pistachio slices and fruits in the pictures. This is a stunner, esp. that saffron sauce! Well done, Muna. 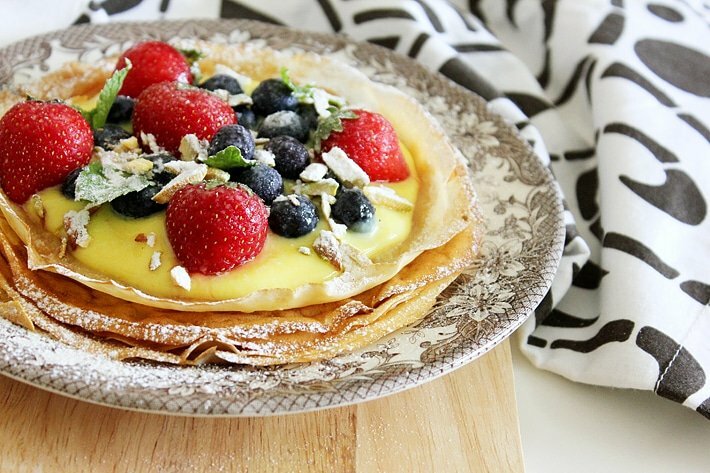 I wish I knew how to make crepes.. Yours look just perfect! Wow! These are so lovely. And not only are they beautiful, but they’re so so elegant! I would never have thought to infuse saffron in a sweet sauce – now I must! Exquisite and refined tasting! A wonderful idea. Thanks Rosa, it makes me look forward to weekends!